Over the past few years, I have noticed more and more people getting back to the garden. They are realizing the value of growing their own food. Not only does food from the garden taste better, but it’s more nutritious and you can make sure it’s grown without toxic pesticides that harm our health and environment. I know many people who are taking their vegetable gardens indoors. Growing indoors provides your family with fresh food all year long, so that you can enjoy ripe, juicy fruits and veggies even on the darkest days of winter. If you have a spare bedroom, or even an extra closet, you too can grow indoors to supplement or replace your family’s grocery bill. You can grow just about anything indoors as long as you create the proper environment. You’ll want to research the crops your interested in growing to learn which temperature and humidity levels they prefer. You’ll also want to know their individual nutrient needs and their ideal pH level at each stage of development. Use fluorescent lighting for lower energy, cool weather crops such as lettuce, spinach, and radishes. Use HID lighting for flowering crops such as tomatoes, peppers and summer squash. Grow plants together that like the same environment. 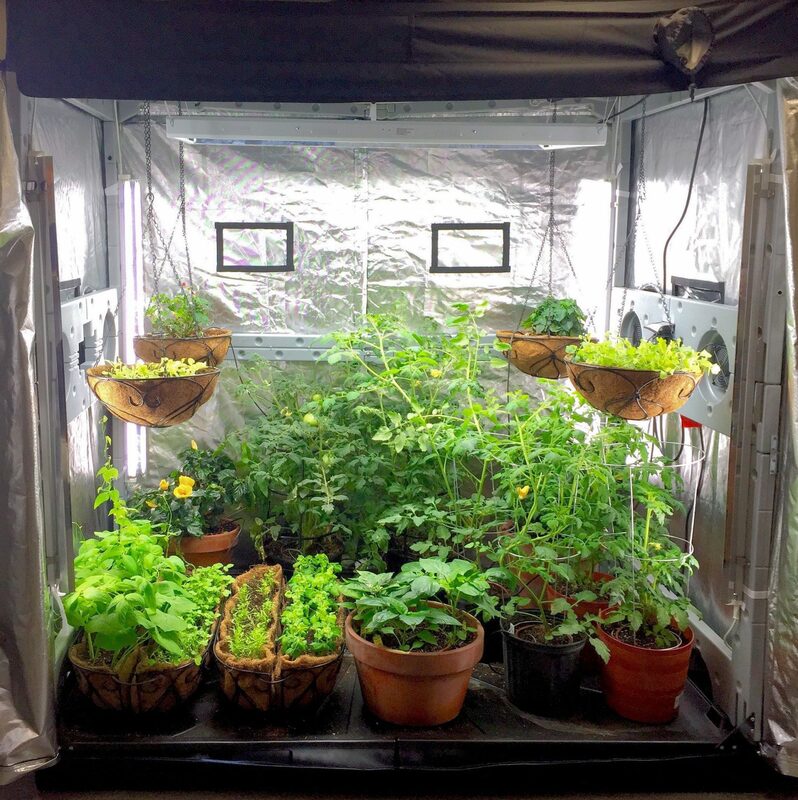 If you are growing in a large area, like a spare bedroom or in the basement, you can create multiple environments by using grow tents. Grow sun-loving crops like tomatoes and peppers together in one tent, and grow cool weather crops like lettuce and peas together in another tent. Plants that grow at the same time as one another outdoors will grow well in the same environment indoors.  Utilize companion planting in your garden. For example, peas, beans and legumes are nitrogen fixers. They take nitrogen from the air and convert it into a form they can use for food. The nitrogen is then released into the soil, which helps to feed their neighbors. Carrots, corn and cucumbers love this about beans and peas. Be sure not to plant your peas next to garlic though, or else their growth will be stunted. There are many plants that are known for growing well indoors. Kitchen herbs are easy and rewarding. Nothing enhances a meal more than fresh basil, oregano, or cilantro freshly clipped from your garden. 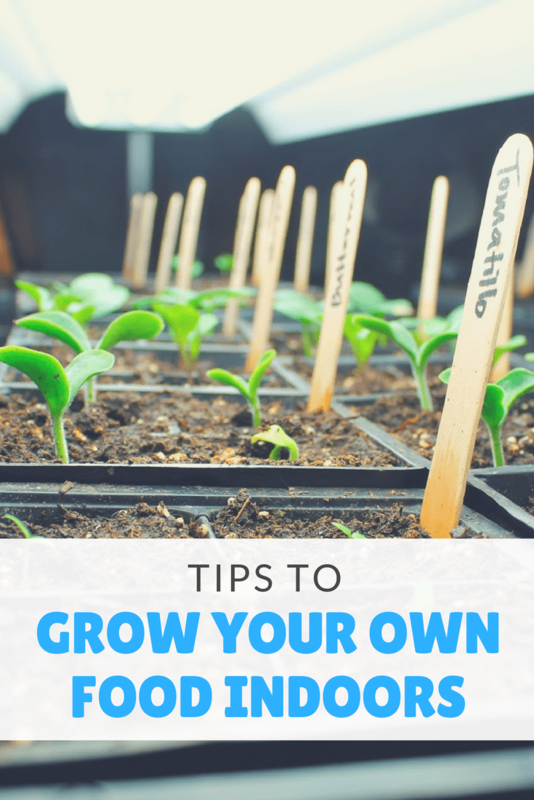 They are easy to grow and require minimal effort. Medicinal herbs make an invaluable addition to the garden. Grow lavender for a soothing cup of tea on stressful nights. Lemon balm is hardy and makes a tea that lifts your spirits. Echinacea flowers are pretty and will boost your immune system when you get a cold. Enjoy garden fresh salads year round by growing lettuce, cherry tomatoes and carrots. Grow Roma tomatoes for homemade marinara sauce, and a crop of basil for homemade pesto. Plant a salsa garden with tomatoes, peppers and onions. Pineapples are surprisingly easy to grow indoors, and you can plant them right next to a lemon tree. Most importantly, grow what you buy at the grocery store. Not only will you save money, but your meals will taste so much better. Whether you have a large basement or a small closet, you’ll want to make the most of the space you have. 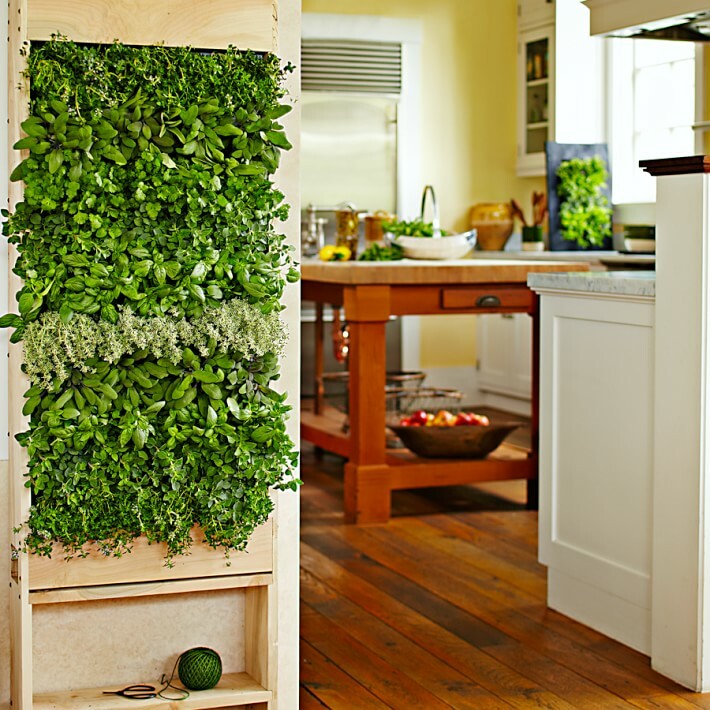 A great way to maximize space is vertical gardening. You can use trellises to grow vining plants such as cucumbers, peas and beans. You can create a living wall full of herbs and lettuces. There are quite a few different vertical hydroponic towers on the market to choose from. 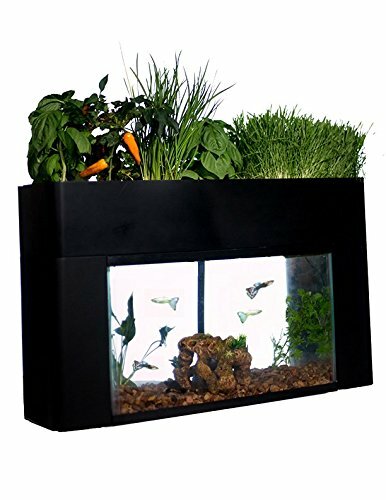 A standard utility shelf is perfect for growing wheatgrass, microgreens, and lettuces with fluorescent light fixtures. Hanging baskets are perfect for a variety of plants. Alpine strawberries will trail over the side of the basket, making for easy picking. Lettuces do well in hanging baskets, as do compact herbs such as parsley, rosemary and thyme. The “Tumbler F1” tomato plant was bred specifically for hanging baskets. Keep in mind that your plants in the hanging baskets will most likely need to be watered daily and fed often to keep them in top shape. If you plan it right, you can have a perpetual harvest of your favorite fruits and veggies, as well as a fully stocked pantry and freezer. Try your hand at canning and freezing your harvest. Canned goods can preserve food for decades if packaged correctly. Fruits and veggies will keep for about 8 months in the freezer. Many store-bought items contain unnecessary chemicals. By preserving your harvest, you can avoid chemicals that studies have shown can be harmful to our health. Canning is the perfect option for pickled veggies, sauces, salsas and jams. You can pickle cucumbers, beets, asparagus, beans, carrots, cauliflower, and peppers. Make marinara, pesto and pizza sauce. Can up mild mango salsa, extra hot spicy salsa and green salsa for taco night. Dwarf fruit trees are easy to grow indoors and provide the perfect fruit for jams and jellies. Try making jams out of apples, pears, plums, apricots, and peaches. The reward of canning your harvest is a pantry full of flavors not found at the grocery store. Once you’ve had enough of making jams, pasta sauces, and pickles, be sure to vacuum seal the rest of your fruit and veggies and stick them in the freezer. Frozen berries are perfect for morning smoothies. Toss your frozen veggies in a hot pan and cook up a quick and easy stir fry during the week. Growing food indoors is the wave of the future. Soon enough it will be normal to see city buildings used as greenhouses. New products are hitting the market all the time that bring the garden directly into the kitchen. Even NASA is growing food in space. This is a conscious step in the right direction. Growing food reduces our carbon footprint because our oranges won’t have to cross international borders. Our homegrown harvest is substantially more nutritious than anything store-bought, which will improve our poor health here in America. My favorite thing about homegrown? The taste. I didn’t know what I was missing until I ate my first strawberry out of the garden. It far surpassed anything I’ve ever bought for $5 per pint. This article was first published in the July 2016 issue of Maximum Yield Magazine.